The fund raising accomplished by our club primarily supports our state’s two main projects, the Louisiana Eye Foundation and the Louisiana Lions Camp. Brownsfield’s contributions throughout the years have been both consistent and generous. 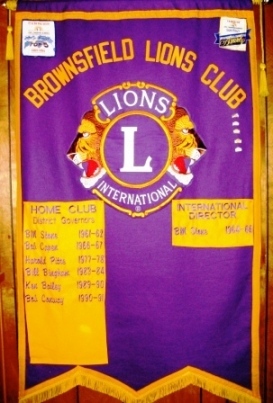 Although we are not large, Brownsfield Lions Club has provided District 8-N with six Past District Governors and the state with a Past International Director. We look forward to many more years of living up to the Lions Club Creed “WE SERVE”.